About one week ago, I was going through my mind thinking of some the upcoming things for Handstyler. I then realised that it was very close to Halloween and I hadn’t planned anything for it yet. It wasn’t a hard task to think of a subject for an interview, as only one came to mind: The Grominator. For those that know his work, you’ll immediately understand why – and for those that don’t, you’re about to understand why. 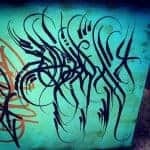 I first came across The Grominator’s art a while back, when a user from the Handstyler Tumblr had pointed me in the direction of his Instagram account. Upon seeing his work, it made perfect sense – and almost felt natural – that there were artists such as him doing incredibly dark and twisted art. 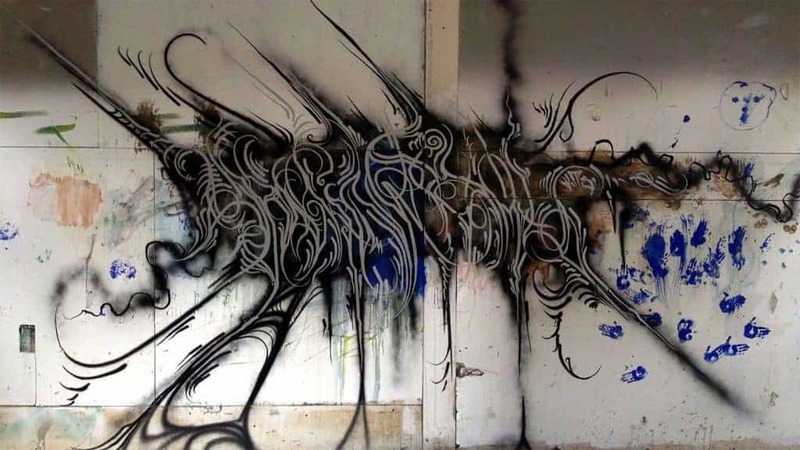 And on top of that, his dark art carried over into his handstyles – forming twisted, demonic letterforms that would be near-impossible to replicate – even by him, I imagine. I write Grominate or The Grominator. 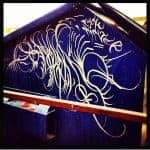 I’m from Calgary, Alberta (Canada)and I rep for a graffiti crew that goes by the name Voltron. About 7 years solid now. 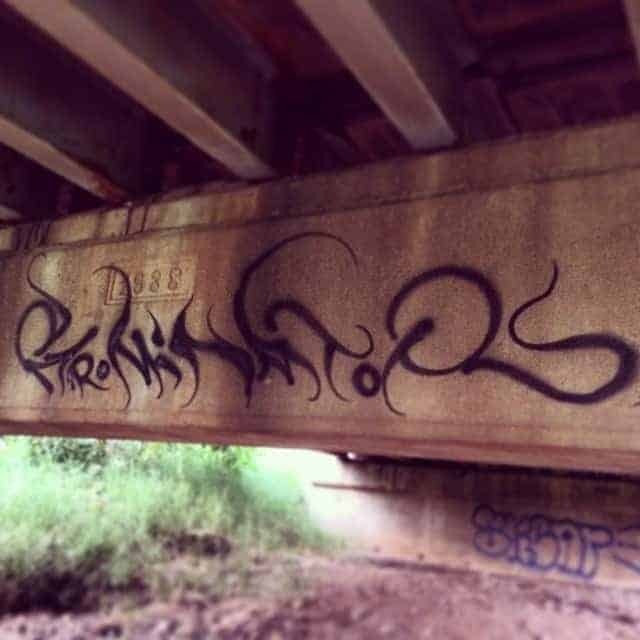 I started focusing on handstyles really early when I first start doing graffiti, but it took me years to start accomplishing handstyles with balance and style and it was a natural occurence with me and Bolr when we were trying too get better in general. 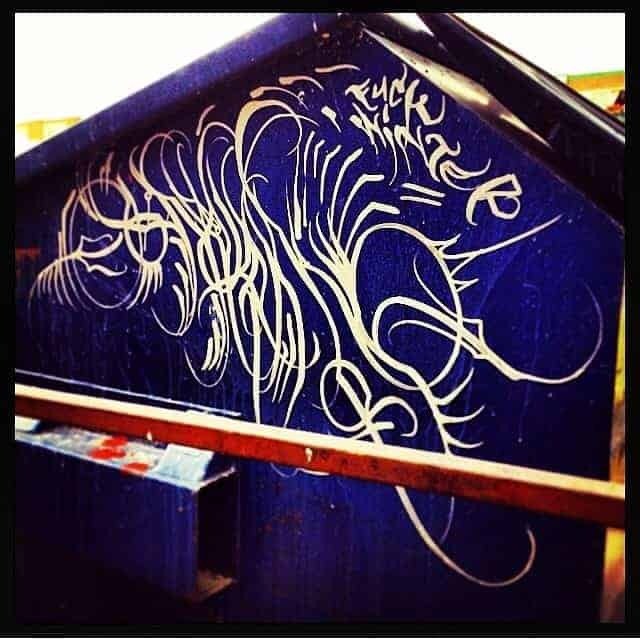 People like Phere and Melt1 had a big influence on me wanting to accomplish beautiful looking handstyles. 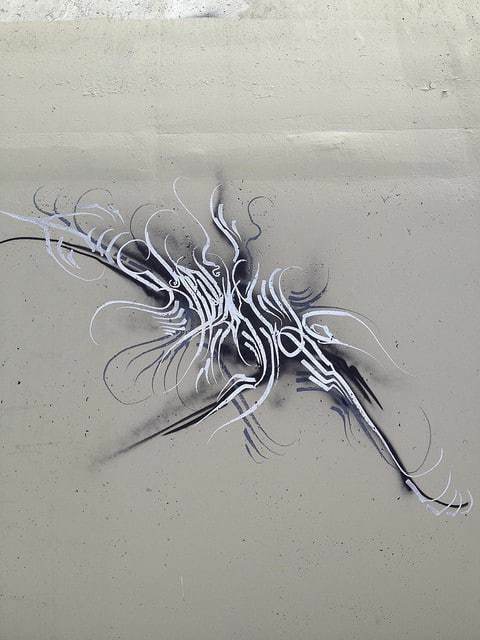 I really tried harder when I seen how fast Bolr was developing his unique style – it pushed me really hard to keep up. Your style tends to lend itself to a darker nature. How and why do you think this came about? Everyone in Voltron has a some sort of cryptic or evil style in their work, whether it be pieces or tags. Phear and Melt and everybody that were doing unique type graffiti handstyles did them like that. It was basically just my product of their influence in my work and same with Bolr. I’m just a product of my surroundings. My inspirations tend to just basically do tags that are visually appealing to myself and to others and I always strive to go bigger and crazier with every one I do, I guess. Plus, they are just fun to do and try new things and have fun with it. It’s nice to have a distinctive style that people can recognize as only yours, which is dope too. I guess I’d have to say a can of black with a banana skinny, just because if that was the ultimatum I’d still be able to be creative with it no matter what. Within your city, are there any other writers to look out for that have quality handstyles? PHERE, BOLR, CASO, MELT1, ASEM, all associated with Voltron… that’s about all I can think of. I’ve noticed you have been doing digital-based art for a while, such as t-shirts and even videos. Is playing around on a computer something that you have always done, or has it been a natural progression from walls for you? Ya before I even started writing I was doing Photoshop and animation work before I ever tried to paint anything. Back in the day before I decided to pursue graffiti and art I was making cartoons about video games and making signatures for forums and stuff like that, lol – that was my past time when I was in jr high. As of now, it’s just nice to be able to use all the software comfortably and not have to get anyone else to help me when I need graphics made or whatever. I love using Photoshop – the effects you can make with it is amazing. And it’s awesome to have the animation skills, so if I have a dope idea in my head I can just animate it right then and there. I’m not sure – might go paint a Halloween theme freight? There will definitely be parties going down cause it lands on a Friday which is awesome. Facebook under Grominate. My Instagram is @thegrominator and my Flickr which is The Grominator as well. 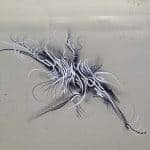 If you want to check out any of my work in detail, those would be the places to check it out. Also check out FromNY.net for my clothing designs on there. Lots of variety and the quality of clothing is amazing. I’m gonna soon make a blog to put up all the paintings I’ve done in the past 5 years soon… I’ll probably plug that later. 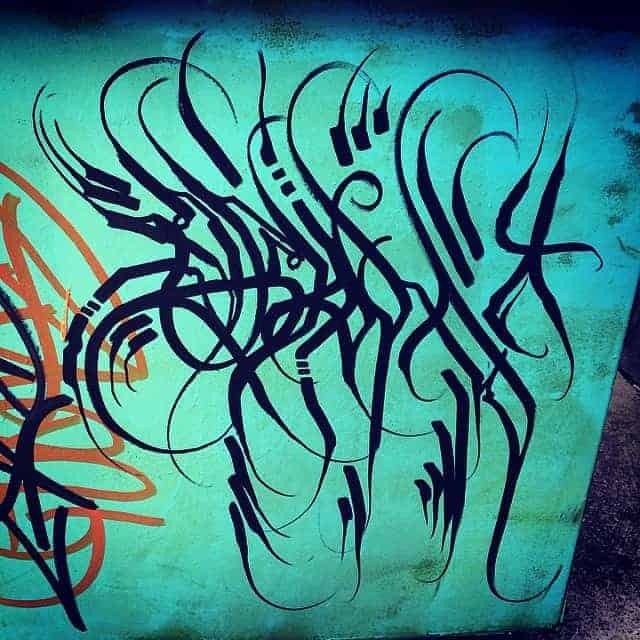 Shouts to BOLR, PHERE, MELT1, CASO, BEGOR, BAYSE, RESER, JARUS, KELS, ASEM, APATH, KEEP6, RASK, MOLEK, SOAK, NEWR, FUZZY, ASHK, WESO, ESPY, OPEN5, UNE, RIP DMISE, MAYK1, NOEM, VOES, SAVE2, MUSAL, JABER, EAFO, OBSEN, ANYONE DOWN WITH VOLTRON , FROMNY FOR HELPING ME CREATE WICKED CLOTHING, ANYONE THAT HELPED ME GET OUT OF JAIL, ALL THE PEOPLE THAT SUPPORT ME BY BUYING MY PAINTINGS AND ANYTHING, ALL THE PEOPLE THAT AREN’T HATING, MY GIRLFRIEND , MY MOM AND DAD, ANYONE THAT ISN’T A 2 FACE, ANYBODY KILLING FREIGHTS PROPERLY. Lots of things I have maybe forgotten. Be sure to follow The Grominator on Instagram, Facebook & Flickr – and check out his dope clothing designs at FromNY.net.